I know. It’s ridiculous and beautiful. 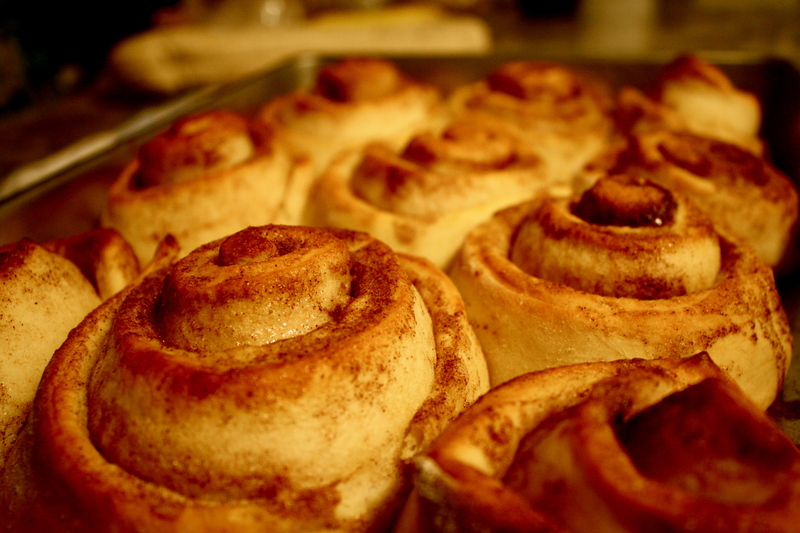 The day it arrived Paul decided he wanted to use it to make cinnamon buns RIGHT AWAY. He found a recipe out of the Kitchen Aide instructional book and got to work. This first attempt wasn’t documented, but that’s probably not a bad thing. We used the recipe for sweet dough in the KA book for the dough, which turned out fine, but the final product was…not fine. 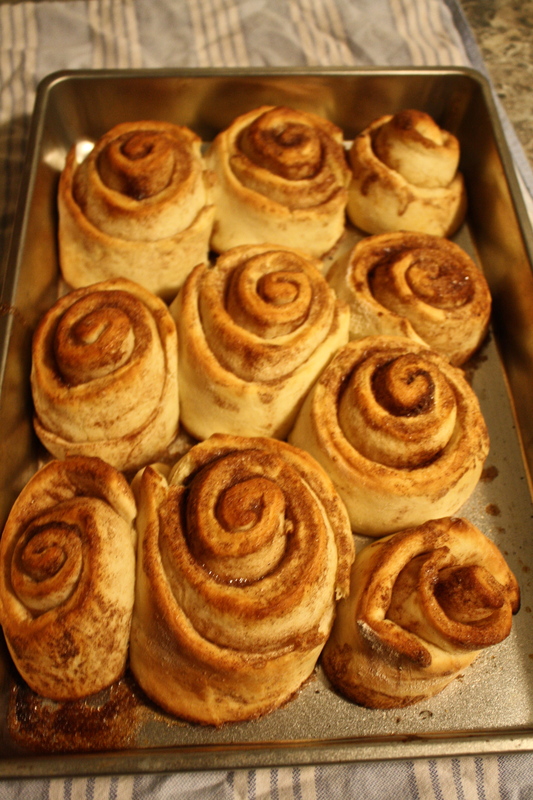 The rolls unraveled, all the cinnamon and sugar in the middle fell out…wasn’t pretty. Attempt #2. 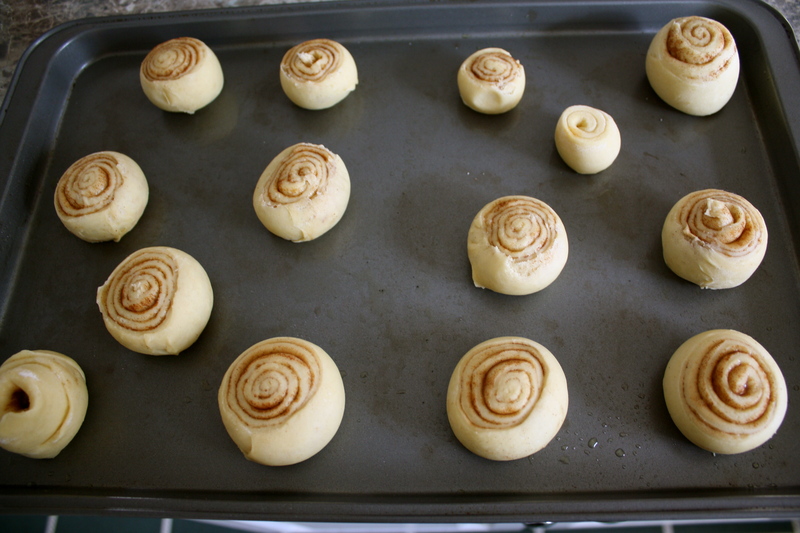 This time Paul chose the cinnamon bun recipe from All Recipes. 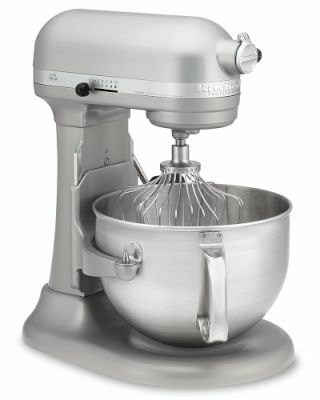 Instructions on the recipe for how to make the dough was “throw the ingredients into a bread maker”, which we don’t have. So Paul kind of winged it, using a modified version of instructions on how to make bread from the Book while sticking with the ingredients on the internet (yes, this attempt was doomed from the start.) 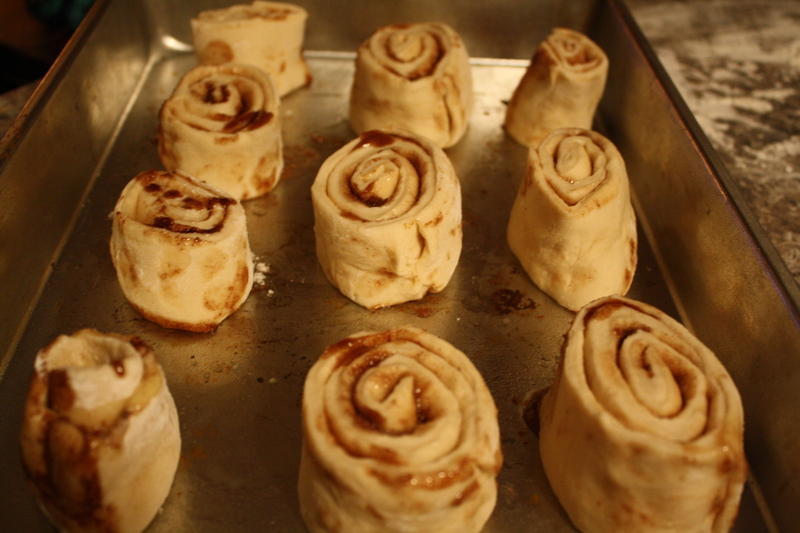 Anyway, the dough didn’t rise as much as usual, but the buns still looked promising enough going into the oven. Little, hard, and turd-like. 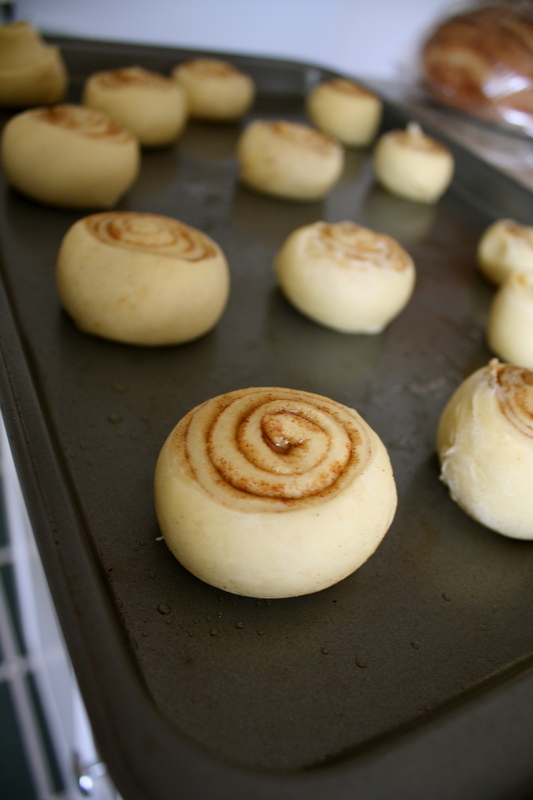 They shrank in the oven. What a sad excuse for a cinnamon roll. Paul took this all very personally, and by the third attempt was on the warpath. 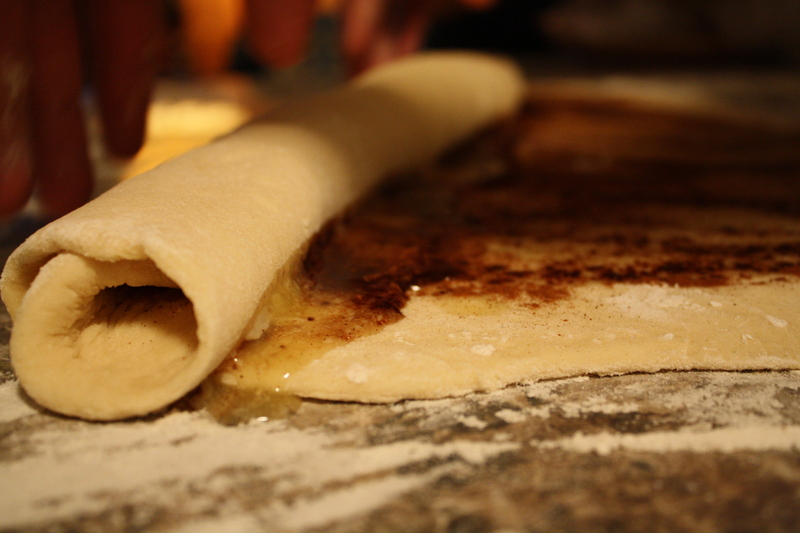 (Keep in mind that it takes a few hours each time you make the dough, because you have to let it sit and rise and yadda yadda a few times in addition to all the prep and baking.) So I thought I’d do him a favor and brought in the pinch hitter: Pioneer Woman. Because everyone knows Pioneer Woman doesn’t mess around. Attempt #3. 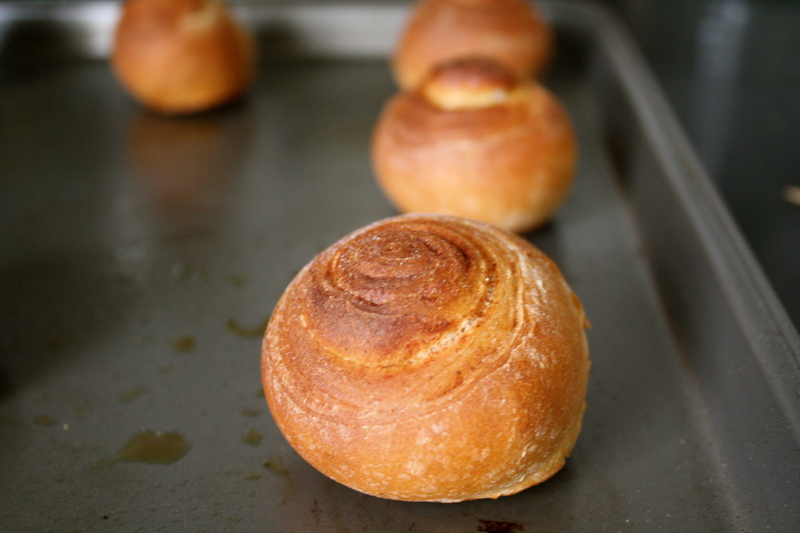 We cut this recipe in half, since PW’s recipe made 7 pans of rolls, which we didn’t need. BOOM. Whatever step we missed in attempt #2 was overcome this round. These things are HUGE. 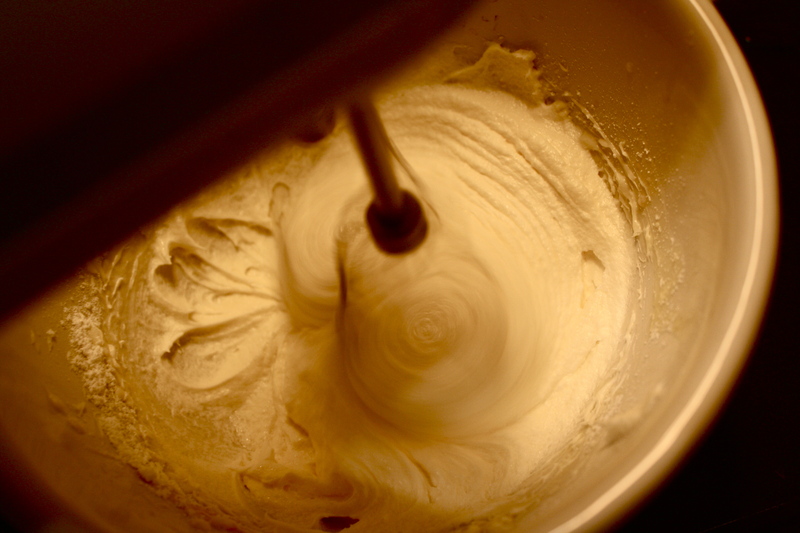 Since we didn’t have any maple syrup for PW’s recipe, we whipped up one of the first “cinnamon bun icing” recipes we found online. The icing turned out a little fluffier than expected (it’s more of a cream cheese frosting recipe, less of a glaze.) But oh my god. The final product is DE-LI-CIOUS. Super doughy (we probably could have stood to leave the buns in the oven a little bit longer, I have a feeling the bigger buns might be a little uncooked in the middle) but with all that butter and sugar who cares. Doughy deliciousness. 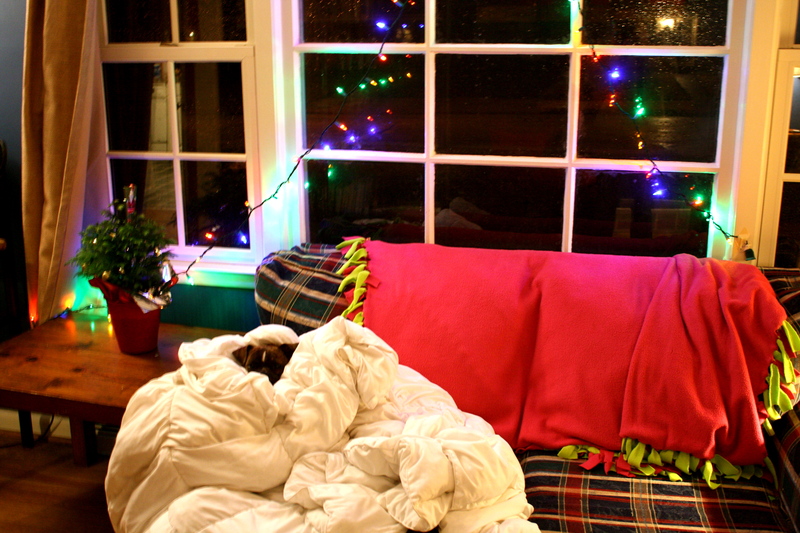 …which means I have to get them out of the house STAT. Time to start pushing baked goods on my coworkers. LESSONS: nailing the dough is the key to good buns; throwing some melted butter in the middle along with the sugar and cinnamon (which many recipes don’t call for) helps hold the rolls together (even without the frosting); be liberal in your use of cinnamon and sugar (and butter); I love Pioneer Woman. That post title goes out to Alix. As much as I enjoyed the trip to California, it is always nice to come home. Unfortunately, that also meant 18 degree weather and short, dark days. Yup, that’s pretty much all anybody wants to do. Big eye roll. We live in a neighborhood, not in the wilderness or on a farm in the country (despite what our Christmas card suggests…that picture was taken in our backyard.) We don’t own a large plot of farming land or cattle. We are not survivalists. This book does not apply to us. But after a day of being home of doing absolutely nothing productive, I decided to crawl out from under my comforter on the couch and see what was in the book anyway. 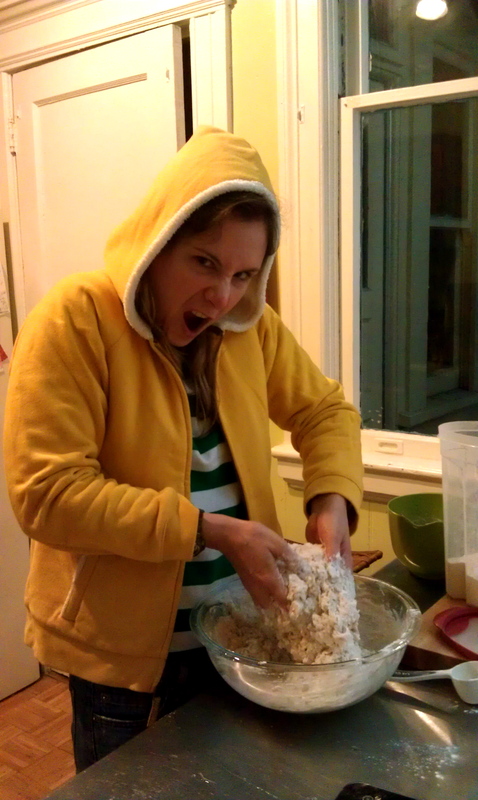 Last week I helped (watched) Chrissy make some bomb bread in her apartment in SF. Inspired, I found a bread recipe (there are many) in the book and decided to give it a try. Boom. 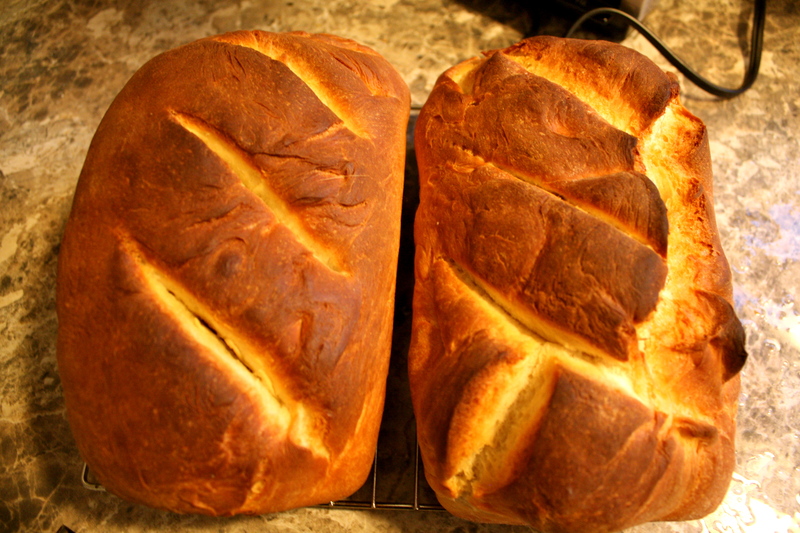 Different recipe than Chrissy’s, totally different type of bread, but still good. Plus baking it warms the house up and makes it smell yeastily delicious, which is especially wonderful on dark wintery days. And that book? I was wrong. It’s awesome. 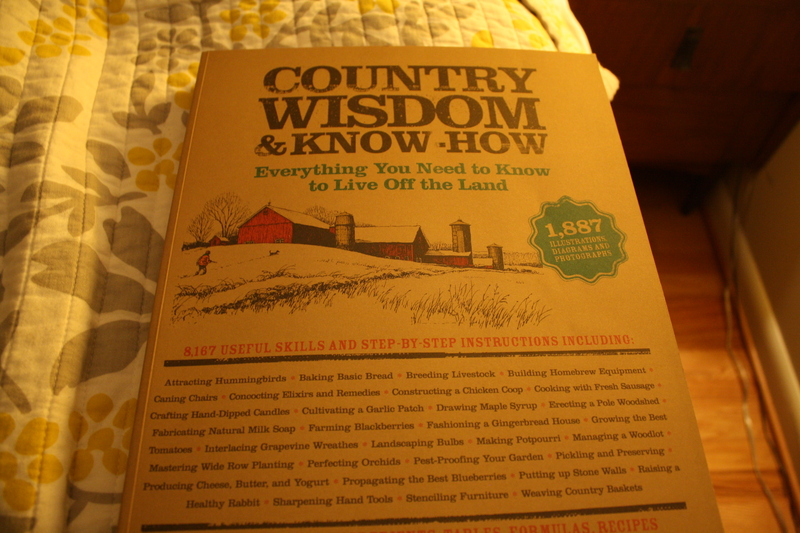 It has everything–cooking, gardening, raising animals, making clothes, making preserves (Paul is stoked about that), how to skin a rabbit, home repairs, herbal remedies, diarrhea relief for your dog (seriously)…watch out. You are currently browsing entries tagged with baking at Rambulatory Ambulatory.